Making university affordable is an important factor when choosing where to study. University Centre Peterborough offer lower tuition fees compared with other universities and provide bursaries for all undergraduate students. The following tuition fees are for all undergraduate UK and EU students starting in 2018/19 at University Centre Peterborough. The tuition fees for full-time undergraduate UK and EU students starting in 2018/19 will be £8,000 per year. The tuition fees for part-time postgraduate UK and EU students starting in 2018/19 will be £3,550 per year. Please note that if you fail a unit, you may incur re-sit costs. All tuition fees may be subject to an annual inflationary increase. EU students applying for a full-time undergraduate course at University Centre Peterborough in the 2018/19 academic year will continue to have access to student loans and grants, even if the course concludes after the UK’s exit from the EU. We advise EU students check www.gov.uk for latest information or you can speak to our Student Support team for guidance. There may be additional costs for the course which are not covered by your tuition fee. The following bursary schemes are available to all undergraduate UK and EU students starting in 2018/19 at University Centre Peterborough. These bursaries are not available to postgraduate or HNC/HND students. 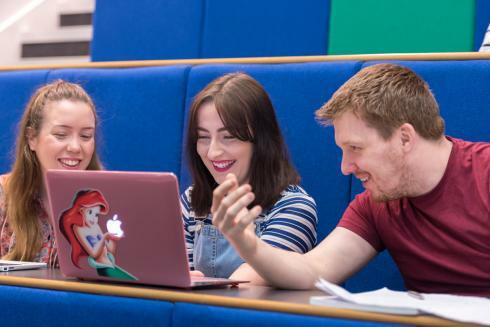 Every full-time undergraduate student starting in 2018/19 will receive a £500 cash reward after successfully completing each academic year with 75% attendance and no outstanding assessments at the end of each semester. This means you will be entitled up to £1,500 over the course of a three year degree. This annual cash reward can help go towards resources and books, fund field trips or extra-curricular activities. This reward is not means-tested and you do not have to pay it back after you graduate. Part-time undergraduate students will receive a pro-rata payment depending on the number of credits they are studying. You must be in receipt of tuition fee funding from Student Finance. If you are from a low income household (under £25,000 per year) and studying a full-time undergraduate course you will receive a £500 cash bonus after the end of the first semester for each academic year. This means you could be entitled up to an additional £1,500 over the course of a three year degree. Part-time undergraduate students will receive a pro-rata payment depending on the number of credits they are studying. You must be in receipt of means tested maintenance funding from Student Finance. This low income bonus is in addition to the annual £500 cash reward. You can receive up to a £1,000 tax-free bursary by becoming a Student Ambassador or Student Research Ambassador for University Centre Peterborough. The benefits of becoming an Ambassador is that it will increase employability when you graduate, develop personal and presentation skills and you will inspire prospective students to go to university. For more information and tuition fee and maintenance loans including how much you may be entitled to, visit www.gov.uk/student-finance. IMPORTANT - When you apply for student finance funding, note that all UCP courses are registered under Anglia Ruskin University finance provision (institution code A60). All UCP courses will have UCP displayed in brackets within the course title. For HNC/HND courses use institution code P56. You can apply for a tuition fee loan to cover the full cost of tuition. Student Finance England will pay the fees directly to University Centre Peterborough and you will not have to pay back this loan until after you have finished your studies and are earning over £25,000 a year. Full-time students can also apply for a maintenance loan from the Government to help with living costs. This is paid into your bank account at the start of each term. The amount of maintenance loan you can borrow depends on your circumstances, including your household income, what year of study you are in, and where you live and study. Our Student Support team can help advise you on an individual basis so you receive what you are entitled to.